Home Emergency Cover provides emergency repairs to your home to limit the damage and inconvenience to you. With approved contractors available day and night, we'll help restore harmony to your home. Standard Cover Level – Maximum of 3 claims per policy with a limit of £500 (including VAT) per claim including Call Out charges, labour, parts and materials. Plus Cover Level – All the cover of Standard plus Unlimited Claims with a limit of £1,000 (including VAT) per claim, and Annual Gas Boiler Service and Operational Safety Check. Please download and read the Product Information Document & Policy Wording for a full description of all the benefits and protection, prior to proceeding with your purchase. Boiler breakdown and annual service included in our Plus cover. We will assist You to restore heating and/ or hot water to Your Home following an Emergency arising from the sudden and unexpected complete failure of the Primary Heating System. Where a boiler is deemed beyond economical repair We will replace the boiler if it is 5 years old or less at the time of the claim. If the cost of the boiler is over the claim limit of the policy (£1,000) then We will make a payment to you of £1,000 instead. If the boiler is over five years old at the time of the claim We will contribute £200 towards the cost of a replacement. Oil contamination resulting from a leak from an oil powered boiler. A boiler which is more than 10 years old. A boiler fitted within a Home with more than 15 rooms serviced by the boiler. Faults which, in the opinion of an approved Engineer, are as a result of the boiler not being serviced within the last 12 months. Lighting of boilers or the correct operation or routine adjustment of time or temperature controls. Clearing airlocks or bleeding radiators. Any repair or replacement which requires the removal of asbestos in order to complete the repair. Where Your Home has been left Unoccupied. This is a service for an annual gas boiler service and operational safety inspection. 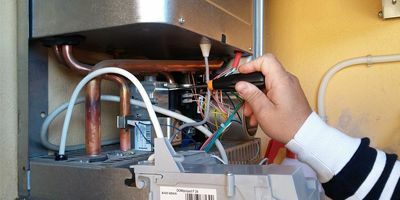 We will arrange for a boiler Engineer to complete a service and operational safety inspection on a date agreed by You. The service and operational safety check will include a full strip down service of Your gas boiler and flue gas analysis. The boiler service provider will contact You at Your Home address within 30 days of taking out this service. Learn more about whats included in our Standard and Plus cover. We will assist You to make the Home secure following an Emergency arising from the sudden and unexpected failure of or damage to external locks, fitted to doors and windows where the failure or damage is such so as to render the Home unsafe or insecure. Where Your Home is Unoccupied. Damage as a result of theft or attempted theft. Failure of the Home security system. Loss or damage to the keys to the Home. If damage to the roof of Your Home due to bad weather conditions or falling trees or branches, then an approved contractor will be on hand to provide emergency repairs. A Home covered under a management agreement. A Home greater than three stories. We will assist You to stop the Emergency which has arisen from the sudden and unexpected failure of or damage to the plumbing or drainage system within the Home which has or may result in internal water leakage, flooding or water damage to the Home. Costs which exceed the Claim Limit. General maintenance including but not limited to dripping taps. The costs of repairs to the underground water supply or drainage facilities except where within Your Home. Leaks from any household appliances, sink, shower or bath where leakage only occurs when the appliances is in use. We will assist You to restore the water supply following a sudden unexpected leakage, collapse or blockage of the mains water supply pipe connecting the main stopcock in Your Home to the point where it is connected to the public or shared water supply pipe within the boundary of Your Home. Water pipes to or from and in detached outbuildings, fountains, swimming pools, ponds, other decorative garden features, garden taps, treatment plants, rainwater pipes, roofs, guttering or other external property. Damage to drains caused by structures not conforming to local building regulations or caused as a result of negligence or neglect. Damage caused by external means, including those caused by failure or disconnection of water supplies, plants or tree roots etc. Repairing or replacing soakaways, cesspits, treatment plants and their overflow pipes. If the authorised Engineer has to dig within the boundary of Your Home, they will fill in and leave ground level but will not replace the original surface, fittings or construction. Any fixtures where its replacement is solely necessary as a result of changes in legislation or health and safety guidelines. The fabric of Your Home and any fixtures, fitting or other item of equipment, not directly causing or damaged by the Emergency. Shared pipe work or any frozen pipes that have not resulted in confirmed damage. We will assist You to restore the electricity system to the Home following an Emergency arising from the sudden, unexpected and complete failure of the electricity system in the Home. The failure of any electrical wiring that is not permanent (e.g. fairy lights). Any fault in supply prior to the consumer box. Wire / cabling situated outside of the Home (e.g. wiring to satellite dishes, aerials etc). Any claim relating to the interruption, failure or disconnection of the mains gas supply. Any claims relating to Your failure to purchase or provide sufficient gas or the non-payment of Your energy account. Any claim relating to partial failure of the internal domestic gas supply. Any claim relating to the failure of the mains supply. We will assist You to restore a means of heating and preparing food within the Home following an Emergency arising from the sudden, unexpected and complete failure of the permanently-installed cooking system. Claim costs in excess of £250. Emergencies where an alternative means of heating / preparing food is available. We will remove and control the pest infestation. Pests are defined as brown or black rats, house or field mice in the home (including an attached garage or outbuilding) and wasps or hornets nests in the home or garden. Pests outside the main dwelling e.g in detached garages. Any pest infestation where You have not taken reasonable hygiene measures to prevent infestation or where recommendations have previously been made by Us. Any contamination where You are not able to confirm the type of pest concerned. Any damage caused by pests. If your home is declared unsafe after an Emergency which falls under this policy, you'll receive up to £250 towards hotel (room cost only) for up to 48 hours. Find out more with these common questions. Why should I buy Home Emergency Cover with Best Price FS? Unlike other providers, we do not charge an excess if you make a claim. All callouts are covered by your annual premium. Our cover is underwritten by Acasta, a UK-leading insurer with over a decade of experience providing Home Emergency, so you know you're in good hands. Am I limited to a set amount of call-outs during the year? With the Plus Cover Level there's no limit to the amount of claims you can make throughout the year, and for every unrelated claim, you'll receive up to £1,000 worth of cover. Can I buy Home Emergency Cover if I rent or let my property? Our Home Emergency Cover is only applicable for homeowners' primary place of residence. This policy is not available for a property which you rent or let. What happens if the repair is more expensive than the £1,000 limit? Our covers will provide up to £1,000 per claim which is more than enough in the case of most home emergencies. However, for more expensive repairs, any additional costs will be yours to pay, but with our network of contractors we can aid in arranging these repairs for you. How soon should I report my home emergency? All claims must be reported within 48 hours of the incident. Will this insurance cover trace and access? Yes. In cases where floorboards or any other material of your home is affected while accessing the problem then we will cover the work done to find and repair the fault. However, we will not replace the material of your home to the same state it was in before superficially - repairs will leave the home in a safe and useable condition, but this insurance should not be considered a maintenance policy. 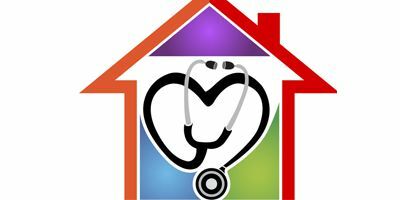 You stipulate that my house must be maintained - what does this mean? We require that you make sure that your home is in good condition and that you do your best to prevent anything that may cause a claim. This means that you must carry out any inspections or services of fittings in accordance with the manufacturer's instructions and complete any necessary maintenance to the structure of the home. Our cover is designed to address sudden emergencies which require immediate assistance. What do you define as an emergency? We define an emergency as something which is sudden, unexpected and requires immediate corrective action to; prevent damage or further damage to your home; makes your home safe or secure; or to relieve unreasonable discomfort, risk or difficulty to you. What makes this policy the best Home Emergency Cover? This home emergency assistance policy is designed to make your home safe and secure, and repairs carried out will aim to prevent further inconvenience to you and damage to your home. We provide up to £1,000 per claim to make sure that, in the event of a home emergency, help is at hand. Access to a 24/7 helpline means that assistance is available when you need it most. Prefer to sort it out yourself? Emergency call-out charges can be costly, but this and much more is covered in one annual policy. Tired of feeling cold during the winter months? Follow our ways to keep warm during winter without the need to always have your heating on.